Craft supplies and anything fiddly always seem to end up lost or forgotten. Now that I have a budding artistic toddler on my hands I have even more bits and bobs to store. The best method I have found for practical and efficient storage are these plastic hanging pockets. I store - glue, pipe cleaners, feathers, foam, felt stickers, pens, toys, and everything else I need for easy access. How do you store your Arty bits? 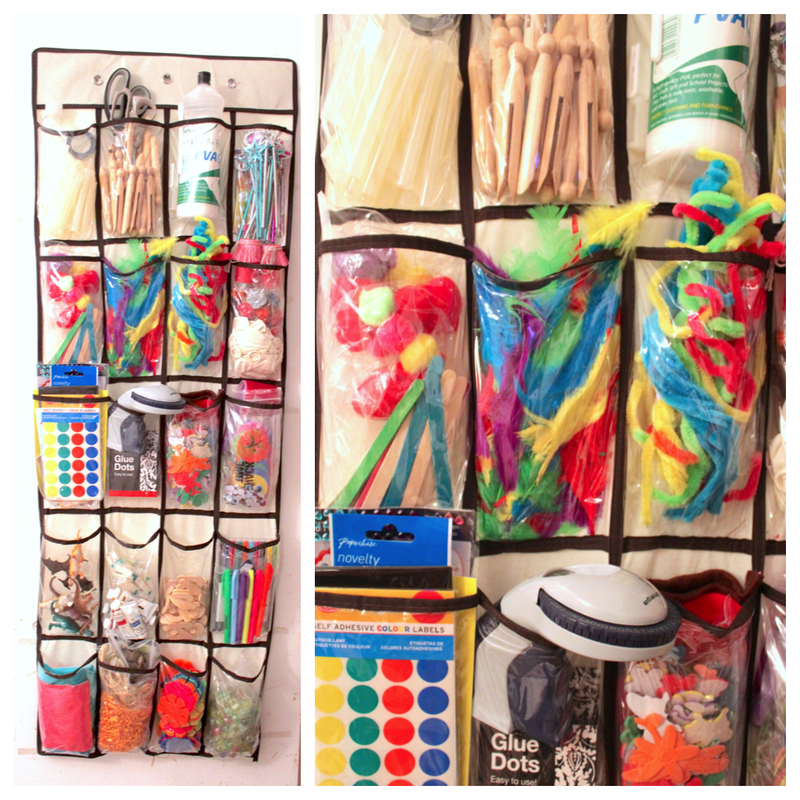 Love seeing all of your creative storage ideas! I love it! I think I'm going to do this on my office door!